Home Avoid These Bloopers And Your Blog Will Rock! Having a popular blog that directs meaningful traffic back to your company blog is something that most business marketers aspire to, and it is certainly a reachable goal. You see, by appealing to a demographic who are interested in your persona as well as your brand, you have already ticked many of the boxes that marketing objectives set out to meet. But what happens when we somehow lose our way and the blog is not nearly effective as it once was? Or perhaps you are just starting out and need some tips that will help you to avoid those pitfalls that the rest of us have already made. Either way, we hope you will read the rest of this article and we’re sure that you’ll pick up something useful along the way! So we’ll start with something that happens more often than not, because of the dearth of templates available to novice bloggers these days, the content often gets overlooked. WordPress and the gang really do provide some stunning options to less than skilful blog novices and therein lies the problem. Sure, your blog needs to look pretty slick in order to attract some followers, but what happens when it is all mouth and no trousers? It is your posting content that defines your blog and the sooner that you get with the program, the better the chances your blog has of success. Window dressing is all well and good, but never forget what counts the most. Well, the ‘about’ page may be, but your actual blog should be more to do with your topic and your audience than yourself. Of course you need to stamp your personality all over your articles, but remember to concentrate on what matters, and that isn’t you! No matter how awesome you happen to be, that familiar sound of tumbleweeds will be just around the corner should you ever forget about your followers and their needs. If you are more interested in your Google ranking than your actual content, you will have more to worry about in the near future. Because you can stay up all night worrying about your lack of visitors and end up missing the whole point in the first place. By the way, it is far better to have a select audience who actually add something, than a large crowd who do not really care either way. You may have written a few books back in the day, but if you can’t alter your style for the internet, nobody will care about that. Try to keep your paragraphs down to about 3 sentences and make your points really count. If you are blogging about airport parking seattle and decide to write an epic instead, be prepared to fail, because nobody has the time or inclination to spend more than 5 minutes on any blog, no matter how great the content happens to be! 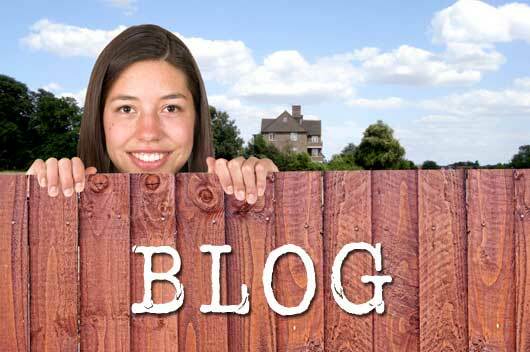 Leave these bloopers behind and you will soon be blogging for real – Good Luck!